Israeli soldiers fired, on Friday morning, tank and artillery shells at Palestinian farmers, east of the Al-Qarara area, east of Khan Younis, in the southern part of the Gaza Strip, killing one and seriously wounding another. 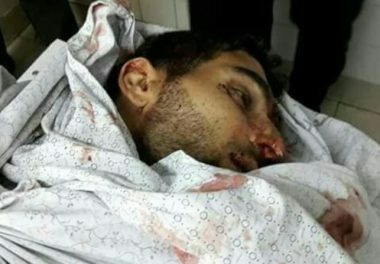 Medical sources said a young man, identified as Wahid Nasrallah Abu Sammour, 27, was killed by a shell fired from an Israeli tank, stationed across the border fence. They added that another farmer suffered serious wounds, and was rushed to the European Hospital, in Khan Younis. 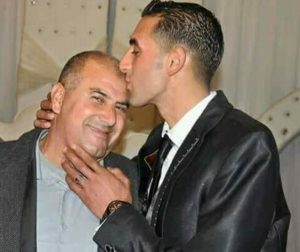 Media sources in Gaza have confirmed that the slain Palestinian, and the wounded, were farmers, working on their land near the border fence area, and that the attack targeted them, and several other farmers. There were no processions or confrontation in the area, and the entire coastal region, when the Israeli attack was carried out. The fatal Israeli attack, and the injuries, came shortly after the Israeli military, and the political leadership in Tel Aviv, have decided on “shoot to kill orders” against Palestinians who breach, or even approach the border fence.